Written by Georgia Smith, Adult Dance Co-ordinator, TRS Teacher and Active Armchairs Facilitator. We see it everywhere these days, on social media, in the newspapers, on the TV. It seems like the world is pushing a health and wellbeing agenda which can only be a good thing, but what does this mean for the older generation? 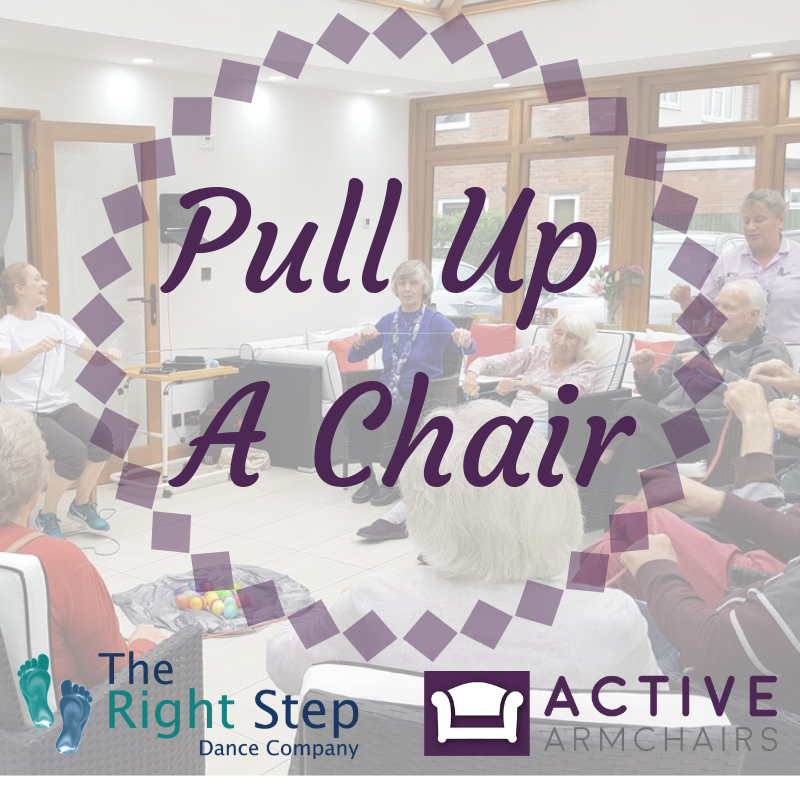 As part of our ‘Pull Up a Chair’ campaign this January, we have been thinking about the benefits of dance to older adults. Here at The Right Step we take a holistic approach and always create our sessions with the body and the mind taken in to account. Over the past few weeks, we have talked about the benefits of dance on our social media channels and through a series of blogs including Rebecca’s three part series about motor skills. For this blog, I would like to share some benefits of dance, For the Body and For the Mind. Of course, this is a huge subject and there is a lot of literature out there so this is a summary and specific to Active Armchairs. Starting with the body, a common symptom for older adults is stiff joints and decreased muscle mass which can make individuals weak and seem frailer. Dance and movement can help to mobilise joints and retain muscle mass as a dance class is a great way to move all different parts of the body rather than focusing on just one joint or muscle. It can strengthen all areas. This can help individuals to retain their independence as they would have the strength to continue to do tasks for themselves. With a focus on enjoyment also, The Right Step aims to lead classes that not only included exercises for the body but also include conversation and creative tasks to help older adults to think and engage physically, mentally and emotionally. Dance is one of the most social activities we can do so a huge benefit of Active Armchairs is that is brings people together, especially those that may be socially isolated. A dance class can combat loneliness and bring back the sense of belonging to those that may now be living in a different environment or away from a spouse or loved ones. We don’t allow the participants to feel childish in our classes (although play and silliness is part of the fun!). A large part of how we do this is discussion about why we are dancing. The benefits above are often talked about. In her class at Valley View recently, Active Armchairs Facilitator, Becca, had the following experience. 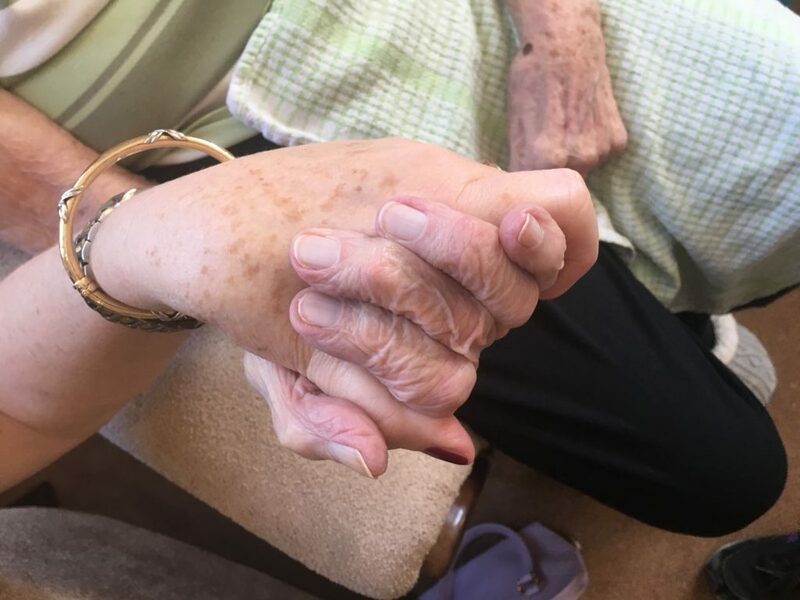 ‘When I arrived at Valley View Care Home Derek asked me if we were going to fly away because he remembered that we’ve been doing some songs by Frank Sinatra. When we were using the pom poms I could guess which movement Derek would do and we had a giggle about it. I asked him if he remembers what it does for him and he said ‘it helps loosen our joints’. The care worker there was very impressed. 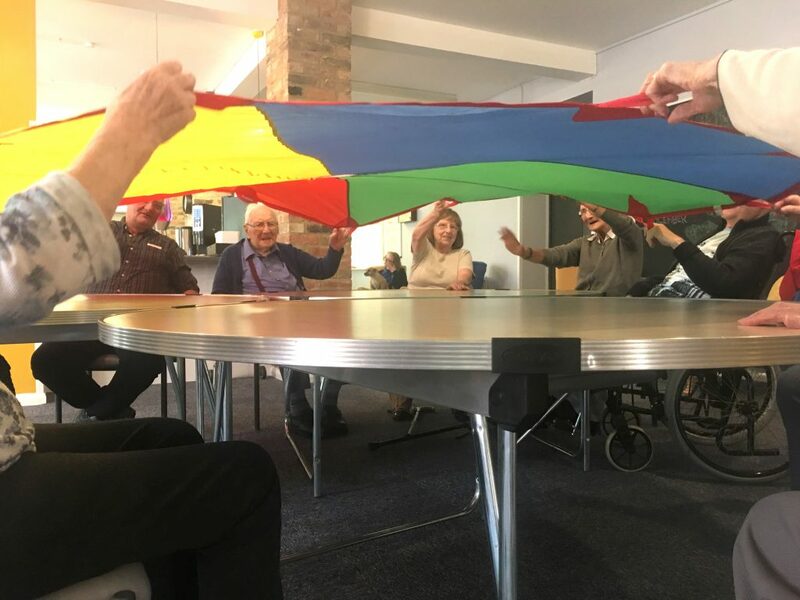 Although the Active Armchairs Facilitators are artists and not necessarily medically trained in any way, they are keen to maintain and develop participants’ bodies and brain and do all they can to follow the latest research in to do so. The majority of the benefits happen accidentally because dance, and art in general, are therapeutic and physically beneficial without having to force it. Above are just some of the benefits of participating in a dance class but let’s not forget the most important thing… Dance is fun and can bring happiness whether that happiness is through the music, the dance moves, the social interaction and conversation, or just enjoying the atmosphere of the room. So ‘Pull Up a Chair’, it’s time to dance!